Computers are great, and chances are they play a fairly big role in helping you manage and run your business. While technology, in theory, makes life easier, it also opens up a bunch of new potential problems and threats. Data breaches and hacks can be catastrophic – we’ve all heard the horror stories. For businesses, a cyber attack can mean an interruption of business, lost revenue, and even litigation. And while it’s tempting to believe that cybercriminals are only after big businesses that have huge profits, that’s not exactly reality. Cybercriminals are after small and medium businesses, too. That’s why it’s important to think about cyber liability insurance for your business. Cyber policies are tailored to your specific business, and they can protect you in a variety of ways. We’ll go over six ways that cyber insurance protects your business. It’s a normal Thursday morning. You unlock your business, preparing to open for the day. You turn on the lights, set down your stuff, and log in to your computer. Your computer screen is frozen on a very scary-looking screen that says that your computer has been locked and that you have to pay a lot of money to get it back. You try everything you can think of, but the screen stays put very stubbornly. You’re super locked out…and super panicked. You need your computer to run your business! With a sick feeling in your gut, you stare at the screen, wondering how in the world you’re going to get out of this one. So, what happened? Ransomware happened. 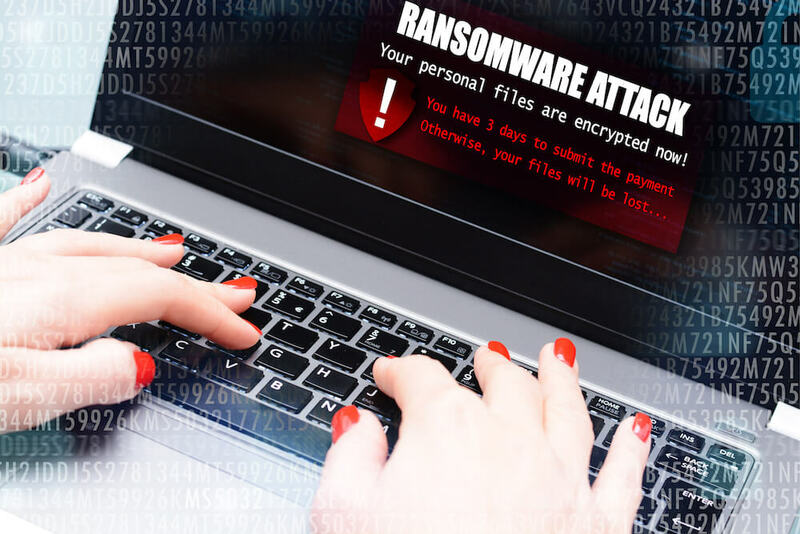 We’ll explain what ransomware is and how to avoid falling victim to it. Technical difficulties: Does your business need cyber liability insurance? Sometimes it feels impossible to get through the day without technology. We’ve come to be extremely reliant on our computers and phones—after all, they do make things easier and faster…when they want to cooperate. Persnickety tricks and malfunctions notwithstanding, technology is great for your business. But your computers are also a huge vulnerability with plenty of IT risks. They’re an Achilles’ heel. That’s why cyber liability insurance is so crucial for your business. Your computers are wide open to a hack that could jeopardize your customers’ personal information, even though we don’t want to think they are. Protecting your business against things that you can see is second nature, but cyber threats are pretty invisible, so it’s easy for them to escape our notice. Plus let’s be real—computers are complicated, so we might not even know we have a weak spot till it’s too late. A hack can strike like lightning—swift and devastating. Fortunately, they invented cyber liability insurance to protect your business against those invisible threats, and here’s what cyber insurance can do for you. How would you define information technology (IT)? One simple definition is that IT is the application of computers and telecommunications equipment to store, retrieve, transmit and manipulate data. Lets go even simpler. You can say it is a synonym for computers and computer networks. If you have a business, then it is safe to say that you are using information technology.